Video ads are one of the fastest-growing and most in-demand forms of marketing available to an advertiser. Consider it your brands secret weapon. In fact, by 2019, video is projected to claim more than 80% of all web traffic. But is your video content standing out? Studies have shown that 60% of all content created by brands turns out to be poor, irrelevant, or fails to deliver. The modern digital world has become a noisy one – we’re consuming and producing more content than ever before. So how do you guarantee that your video marketing efforts (and dollars) aren’t going to waste? As customers, we react to emotion. Studies using neuro-imagery have shown that our emotions drive our purchase decisions, trigger our actions and direct our beliefs – 90% of sales are influenced by emotions as opposed to logic. It stands to reason, therefore, that the emotion a brand or campaign elicits directly contributes to its market success. Brands that inspire a higher emotional intensity receive 3x as much word-of-mouth as less emotionally-connected brands. Great content is the gateway for establishing these meaningful emotional connections with customers – and a recent study revealed that brands that were able to create these connections with their audiences outperformed other companies by a whopping 206% in the stock market from 2006 to 2016. Customers were also willing to pay more for these meaningful brands. 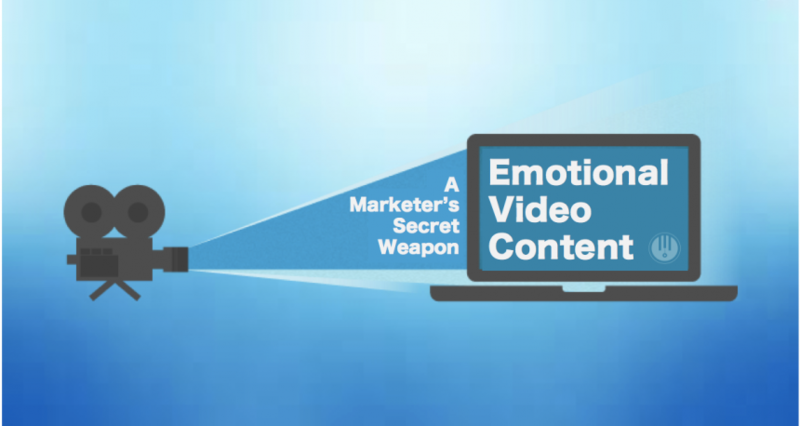 Video offers the opportunity to express emotion through a compelling story, touching images and captivating audio. If you are able to connect emotionally with your potential customer or prospect and form a meaningful connection, you’ve managed to do something rare in marketing your business. Check out our latest emotional campaign for Shiseido. Bottom line: Brands that push limits to give their brand power and purpose with strong, emotional video will surely come out on top.